It’s Collabor88 time again! The theme for this month’s event was Unicorn! I hope you come to C88 and try out the demos! 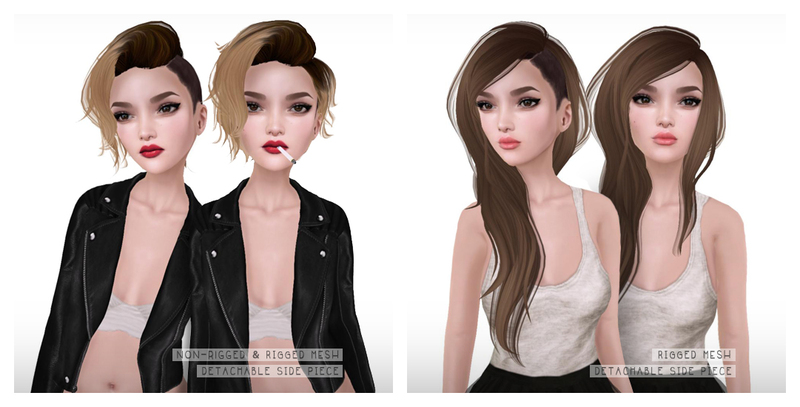 Two brand new hairstyles for C88 this month. The weather is getting colder so I thought I’d make a cute beanie hair! The hat has a hud for texture change. I hope you all come to C88 and demo them! Happy holidays! 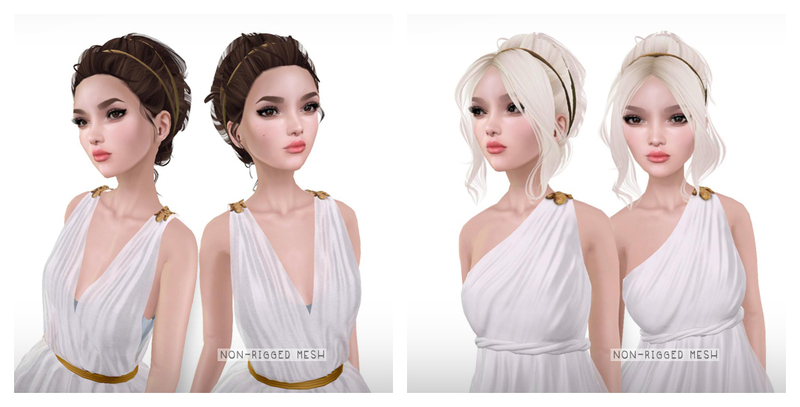 New updos for this month’s Collabor88. Come pick up some demos at the 8 8 sim! Hope you enjoy! I still haven’t blogged about my new Hair Fair hairs. Just in case you’ve been living under a rock for awhile… I’ll let you know that Hair Fair is happening right now and you’re really missing out on all the great styles! 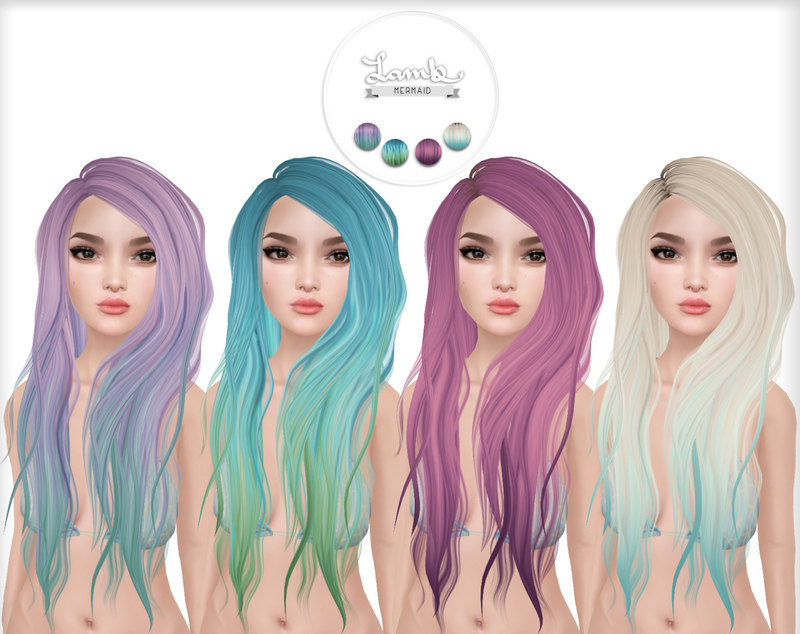 I have finally added some new hair colors to my hair packs for this Hair Fair. 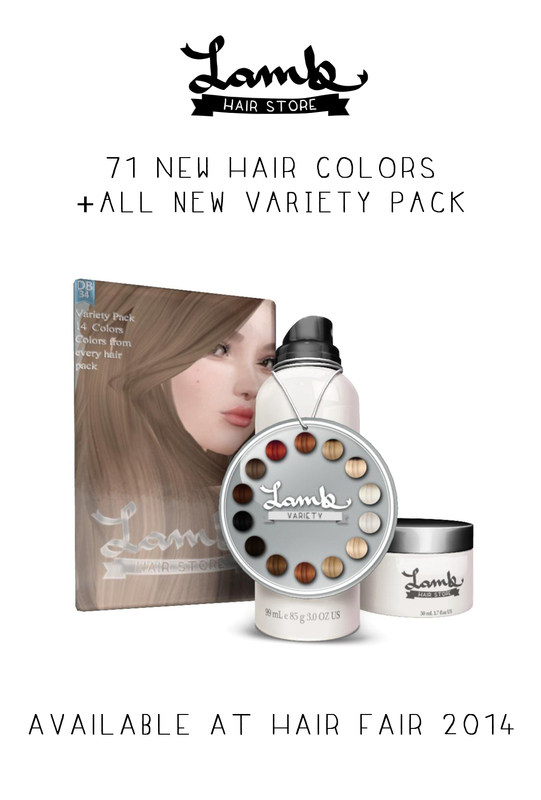 There are now 121 different hair colors and 12 different hair packs. Including a Variety pack! Some people asked for it so I thought I would finally include it! Come to my booth at Hair Fair and try them out! It’s been a very long time since I did a regular release for Lamb! I decided to make 2 new hairstyles and they both have the ability to be worn with the Lola Tango breasts! Lots of people have been asking me for it so I finally did it! I hope you all come down to pick up demos. Thank you so much! Enjoy!